A decent mattress is important enough when you don’t suffer from excruciating back pain,but when you do, it‘s vital to get a mattress that‘s both comfortable, and supportive. Typically, a medium firm mattress is best for those who suffer from back pain. Why? It‘sfirm enough to offer support for back and front sleepers, while offering a little cushionfor those that sleep in their side. Of course, as usual, there are a few things to consider when buying a new mattress. Notonly do you want to make sure that the mattress has an appropriate level of firmness, butyou‘ll also want to take into consideration things like price, mattress size, and so on. Whatever you‘re looking for, there should be something for you on this list. Here are thebest mattresses for those with back pain. We have an affiliate relationship with some companies where we get a percentage of sales if you click over from our site. See our full disclosures here. Shopping for the best mattress for back pain can be a tough process, especially if you‘re not quite sure what to look for. With so many options out there, it can be overwhelming and confusing to find the perfect mattress that helps prevent nagging lower or upper backpain. What matters most in a mattress? In this guide,I‘m going to present my personal top picks for mattresses that could be good fits forusers experiencing back pain. I want to note that the information below is comprised of myopinions, reflecting my own preferences and biases, so use it as a starting point. I‘velearned that a good mattress can help reduce pain in some users, but it‘s not a medicaltreatment; if chronic back pain is a problem for you, it‘s certainly best to consult withyour healthcare professional. In a rush? Click here to skip to the specific mattress recommendations for back painbelow. Below that, toward the bottom of this article, I break down the parts of the mattress thatare important to provide proper support and comfort for the specific needs of backsleepers and those who experience lower back pain and other back problems. Below I have listed my favorite mattresses for back pain based on different factors and criteria, as well as my personal experiences and thoughts. I‘ll continue to update this list as I test and review new mattresses. The DreamCloud Mattress features a medium firm feel, which many people prefer for supportingtheir back while sleeping. DreamCloud‘s signature mattress now features Zoned Support Technology. This means its foam is actually firmer in certain parts of the mattress where the body tends to apply more pressure (particularly under the hips, while the mattress is softer under the shoulders). This “zoning“ treats the hips and shoulders differently,promoting a more natural spinal alignment for the sleeper. Read our full review of the DreamCloud Mattress here. 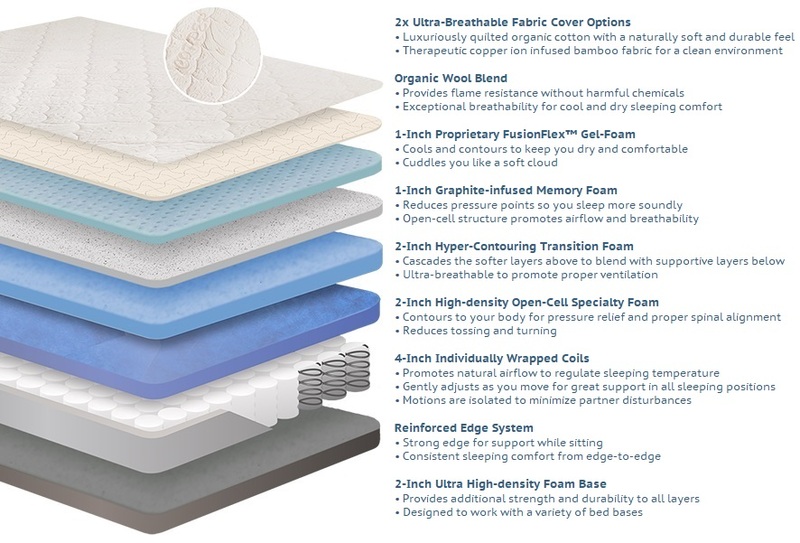 The NECTAR Mattress is all about customization, and each mattress is custom-made to the customer‘s preference. Factors like Feel, Support, and Point Elasticity are taken intoaccount when you customize a NECTAR Mattress, and this helps ensure the sleeper gets a firmness level that works well with their body and preferences. 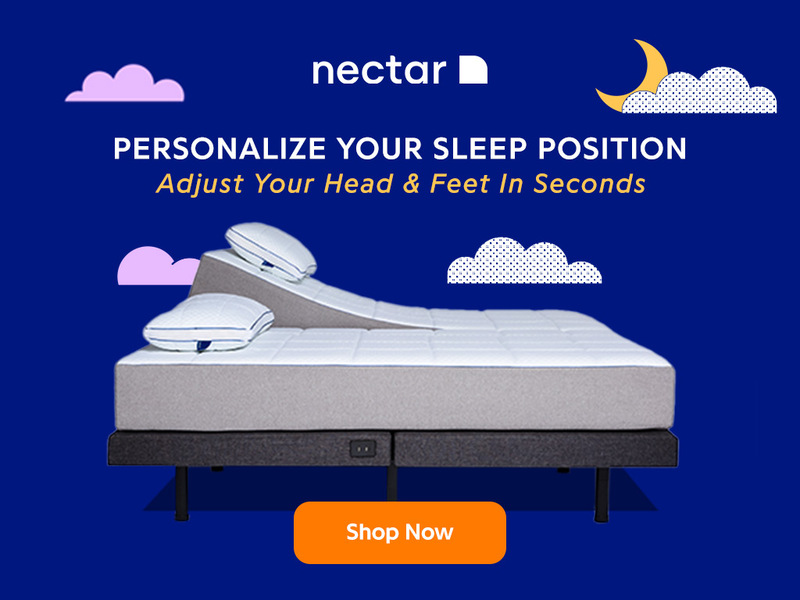 This customization, along with NECtAR‘s use of foam layers and micro coils, results in a mattress that can help keep the spine aligned in your preferred sleeping position. Read our full review of the NECTAR Mattress here. Mattress features a top layer of hyper elastic polymer, meaning it has a fast response time. The mattress reacts quickly to movement and all sleeping positions. This can be beneficial to those with back pain because they don’t have to wait for the mattress to contour to their body and positioning. Purple is also well known for its pressure relieving abilities. One thing to note is that heavier sleepers will feel the pressure relief of the Mattress easily, while lighter sleepers may experience the polymerlayer as firmer. Layla is very popular model, and for good reason: It has a medium firmness level that adapts well to multiple types of sleepers, which is useful if back pain dictates a particular position for you. I found it to give excellent spinal support, keeping users aligned throughout the night. It also features the ability to flip the mattress if you would like different firmness. The CRaVE Mattress can support sleepers who suffer from lower back pain where they need it most. A mattress that is too soft can leave sleepers— especially lower back painsufferers— to far “in“ the layers, which can cause stress and discomfort over the course of a night. The hips and lower back especially need support to keep from sinking too far in, and Crave‘s hedge toward the firmer side is a good indicator of its overall solid support. Crave also features two layers of coils and a European style pillow top, which means a traditional supportive feel with a soft top layer to give a bit of comfort without collapsing on itself. UPPER BACK PAIN— Amore Beds MATTRESS. 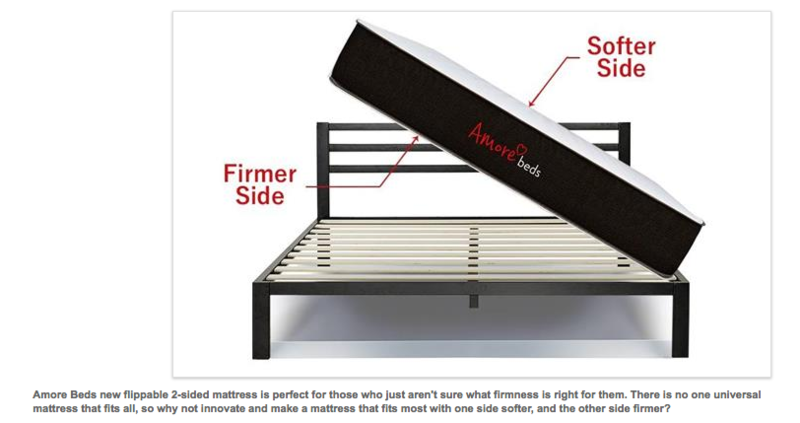 Amore Beds Mattress Edge Support. Support while sitting on the edge of the Amore mattress. The Amore Mattress could be an excellent choice for those who suffer from upper back pain and tightness. The Amore exhibits incredibly consistent pressure relief, even for side sleepers, which is somewhat rare among mattress models. This consistent level of support throughout can help keep the entire back— and not just the lower back— feeling supported and aligned while sleeping. 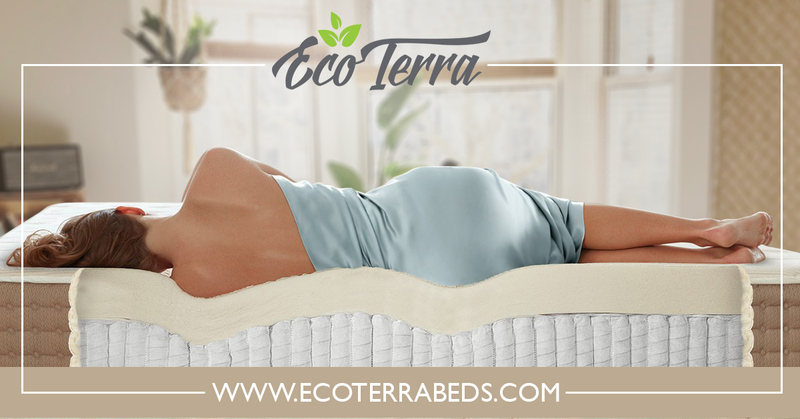 MEMORY FOAM FOR BACK PAIN— EcoTerra Mattress. Showing the foam layers of the EcoTerra Signature Series. The Bedding EcoTerra Signature features four layers of foam, including gel memory foam and high density poly foam. 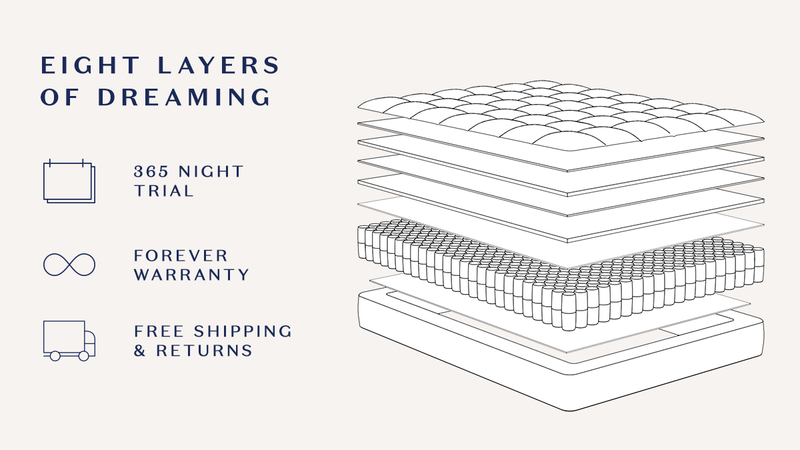 While memory foam mattresses might have a reputation for not giving enough support, the Alexander‘s layering is squarely in the medium firmness range. 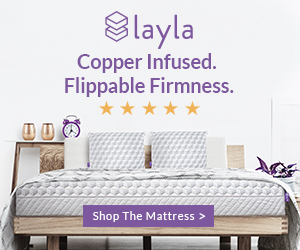 It gives a great contouring and initially soft feel that relieves pressure, while the base layer helps ensure the sleeper doesn’t sink too far into the mattress, which could put the spine out of alignment. FACTORS TO CONSIDER WHEN PURCHASING A MATTRESS FOR BACK PAIN. SUPPORT FOR LOWER BACK PAIN. Note: Bryson is not written by doctors or medical professions and can not provide medical advice. Consult your doctor for specific recommendations on how to best manage your sleep conditions. It‘s important to note that support and firmness are not the same. You can have a softmattress that still has great support. By the same token just because a mattress is firmdoesn’t mean it is supportive. Adequate support results from a mattress that keeps yourspine in alignment, while also remaining comfortable. Comfort is just as important as spinal alignment. If the mattress creates pressure pointson your back or elsewhere, you‘re likely to experience pain or discomfort during thenight, invalidating the benefits from the mattress support level. Best mattress for back pain & lower back pain. Back pain can result from many causes, a supportive and quality mattress can help resolvemany issues. When you lie on a mattress your spine should be aligned and supported, while alsoproviding appropriate comfort. IDEAL BACK PAIN FIRMNESS & FEEL. Firmness is the initial feel of the mattress. Firmer mattresses tend to “float“ thesleeper more on top of the sleeping surface. As opposed to softer mattresses that allowthe sleeper to sink into the mattress, providing deeper hug and body contouring. Most back sleepers need and prefer a mattress that is in the medium to slightly firmfirmness range. This means about a 5-7 out of 10 on the firmness scale (where 10 is themost firm). This medium level of firmness strikes an ideal balance of necessary push-backtype support, while still remaining soft enough to offer comfort and remove pressurepoints on the sleeper. That said, some sleepers will find that a softer mattress is better for their back.Depending on your sleeping style, softer mattresses may provide more consistent alignmentalong your spine, which leads to less pressure and less aches. This is usually the case for lighter sleepers. Lightersleepers typically try to steer away from the firmer mattresses because firm might meantoo much of a floating feeling, exacerbating lower back problems. It‘s important to make sure you are not sleepingon a mattress that places pressure on any of your major joints. By doing so, your bodyis able to rest in a relaxed state and the chance of pressure points along the spine andlower back are dramatically diminished. The wrong firmness can create spinal issues and pressure points. Back pain can come on suddenly and last less than six weeks (acute), which may be causedby a fall or heavy lifting. Back pain that lasts more than three months (chronic) is lesscommon than acute pain. Your specific back pain causes, needs, desires, age, and other factors will likely changethe mattress types that are best suited to you. Below are a few of the primary causes ofback pain and lower back pain. Stress is probably the most common cause of back pain. Although it is hard to measure the level of stress an individual is under, several studies have shown that stress causes a lack of sleep. This lack of sleep mean smore tossing and turning throughout the night. The more you toss and turn, the moresusceptible you are to pulling a muscle, or worse yet, falling asleep in a position that your body is not used to. Additionally, less sleep opens up the door for muscles to strain more easily. If you‘retired and do not receive the proper amount of sleep your body needs, your muscles have towork extra hard during the day, which could lead to lower back issues. Once these lowerback issues take place, the stress circles back around and leads to a never ending cycle. Get enough sleep— most importantly, get enough sleep. Sleep is one of the biggest andmost influential factors affecting stress levels. Make sure you allocate enough time tofully rest and recover each night. Back pain, especially lower back pain, can result from anumber of different causes. In any case, you‘ll want to consult with your doctor beforemaking a decision on your mattress. Your specific medical needs may make a particular firmness level or material type bettersuited to directly targeting your back pain problems. However, only your doctor canfully advise you on the specifics therein. Sleeping, sitting, standing, it doesn’t matter. If you‘re spine is abnormally aligned dueto poor posture, you will more than likely encounter lower back pain. Cervical— this is the top third of your spine. This section works to support your head,which is where pillows and sleeping style come into play. Thoracic— the thoracic section makes up the middle third of your spine. The center ofyour spine works to support the upper body. Lumbar— lumbar is known as the bottom third of your spine. As the lower section of yourspine, the lumbar supports our lower backs and can be considered the foundation of ourback. Good posture can help to improve most back problems. Just be sure to always remember thatthe three sections of your spine are trying to work together. If we place pressure on onesection, the other two have to work extra hard. Many back sleepers suffer from snoring, sleep apnea, or other breathing related issues.This is caused by a strained airway, which can result from poor support in a mattress.When your back is properly supported, air can flow freely into your lungs, reducingsnoring and potentially minimizing the effects of other breathing related sleepconditions. Several other sleeping disorders also play a large role on back pain. If you ‘d like toread up on more of these disorders, they can be found at the Sleepopolis Education center. By improving your airflow management you‘ll also improve overall oxygenation of the body.Better oxygenated cells result in better internal temperature regulation (which isimportant if you ever feel you sleep hot during the night). This will help to reduce lowerback pain, muscle pain, and other body pain directly by improving blood flow and cellregeneration. Certain fabrics and materials have also been shown to improve oxygenation, most notably,Celliant fibers (which are used in a handful of mattress covers, including Bear andAmerisleep). FAQ: What is Celliant and how does it work? Adjustable foundations can be a great option for back sleepers since they can conform to avariety of sleeping positions. Elevating the head and foot of the mattress helps torelieve pressure points along your back. Additionally, elevating parts of your body canincrease blood flow and ease breathing (and less snoring), both of which will result inreduced back pain, better internal temperature regulation, and improved restfulness. The major cons of an adjustable foundation simply come down to the price tag andaesthetics. Additionally, some adjustable foundations may have a less-than-ideal aestheticin the room. Despite the negatives of price and aesthetics, an adjustable foundation can be one of thebest investments to your sleep and health you can make. If you‘ve been sleeping on an older mattress I would recommend first correcting themattress. A good mattress on a traditional bed frame will make a significant difference toyour sleep and lower back pain. However, if after changing mattresses you are stillexperiencing back pain you may want to consider investing in an adjustable foundation. Have a medium to medium firm feel (usually 5-7 out of 10 on the firmness scale). Have a slight to moderate body contour and hug; provides comfort and improves support foryour back. Have a good to exceptional level of deep compression support; provides consistent supportfor both light and heavy sleepers. Sleep cool in terms of heat retention. Will work with an adjustable foundation. BACK PAIN MATTRESS SHOPPING & FINAL REMARKS. Many times, these mattresses are made with inferior materials or practicesthat will eventually lead to sagging or other deterioration over time. Slight, even a 0.5″ sag in a mattress can cause lower back pain and more restless nights. Better warranties,including many of the mattresses above, cover sag depths of 1.0 ″ or greater. There are many great options when looking for the perfect mattress to relieve thatstubborn back pain. 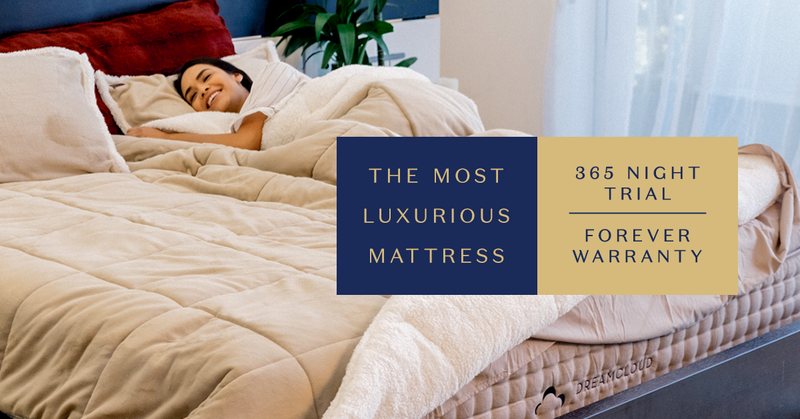 By focusing your search around mattresses that specifically target theattributes most needed by back sleepers you can find the mattress that best suits yourneeds. 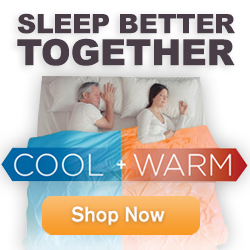 No two sleepers are alike, so be sure to choose a mattress that is right for you. In some cases, you may find great deals that are “too good to be true“. Be wary of theselow prices. Many times, these mattresses are made with inferior materials or practicesthat will eventually lead to sagging or other deterioration over time. Although slight,even a 0.5 ″ sag in a mattress can cause lower back pain and more restless nights. This is of critical importance, because most mattress warranties only cover sagging past1.5 ″. Better warranties, including many of the mattresses above, cover sag depths of 1.0″ or greater. Sleepopolis is not written by doctors or medical professions and can not provide medicaladvice. Consult your doctor for specific recommendations on how to best manage your sleepconditions. is not written by doctors or medical professions and can not provide medicaladvice. Consult your doctor for specific recommendations on how to best manage your sleepconditions. Once these lower back issues take place, the stress circles back around and leads to anever ending cycle.